If the sign is so disliked by the profession charged with maintaining order and safety on our streets, why do we seem to see so many of them? In a word: Parents. 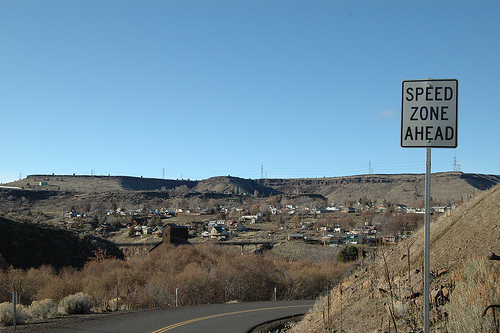 Talk to a town engineer, and you’ll often get the sense it’s easier to put up a sign than to explain to local residents why the sign shouldn’t be put up. (This official notes that “Children at Play” signs are the second-most-common question he’s asked at town meetings.) 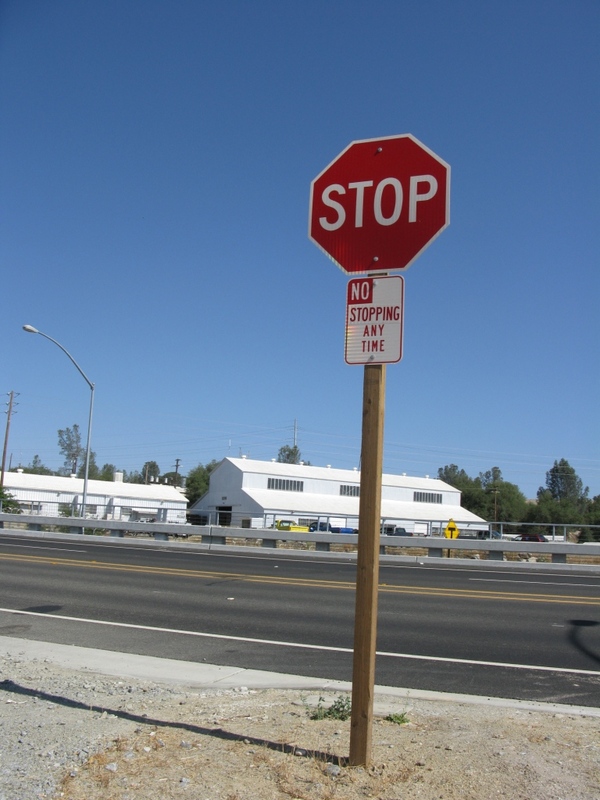 Residents have also been known to put up their own signs, perhaps using the DIY instructions provided by eHow (which notes, in a baseless assertion typical of the whole discussion, that “Notifying these drivers there are children at play may reduce your child’s risk”). 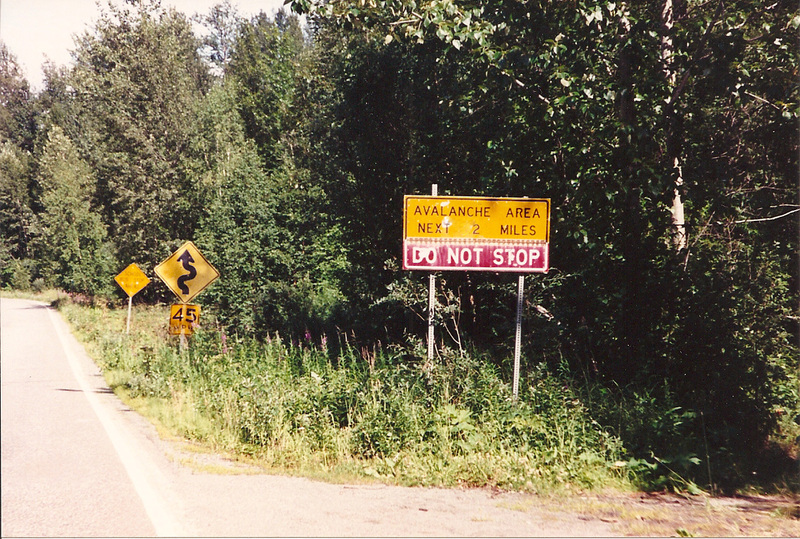 States and municipalities are also free to sanction their own signs (hence the rise of “autistic child” traffic signs). Comments Off on Children at Play (And at the Wheel). Click here to leave a comment. 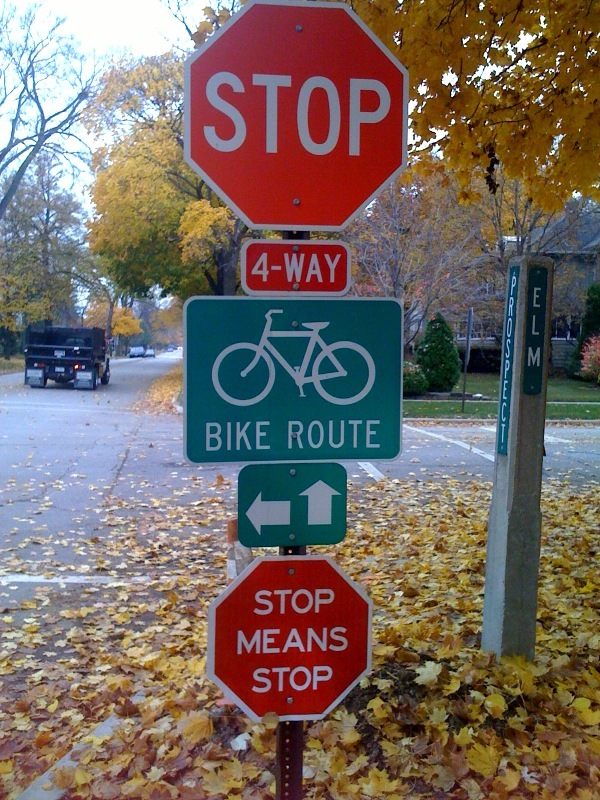 The stop sign column has occasioned a variety of interesting responses, including this visual piece from reader Tony which, needless to say, presents a mixed message. Comments Off on And You Don’t Stop!. Click here to leave a comment. 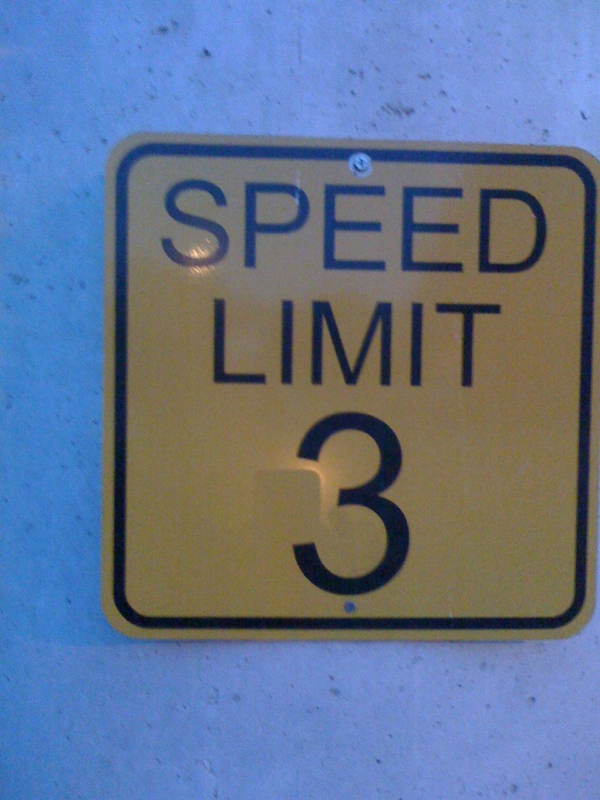 After my post on the 14 mph speed limit sign in Orlando, reader Phil was moved to send in this photo, taken from a parking lot in Austin, Tx. How low can we go? Anyone got a 2 mph? A one? Comments Off on Approaching Zero. Click here to leave a comment. In Orlando recently, out at a resort complex in the Disney-sphere, I saw a sign that caused me to do a bit of a double-take: 14 MPH. I couldn’t recall ever having seen one of these before, though as the photo above — not the sign I saw — indicates, it’s not the only one. 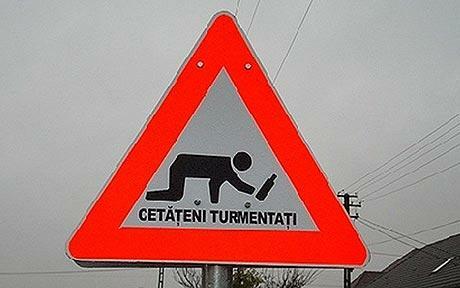 Anyone know the origins of this peculiar sign? The 14 MPH seems like a weird translation from KPH, or is it intended to gain attention by sheer novelty? Does 14 represent some benchmark of safety above and beyond 15? Also strange is that the sign was a rather normal suburban office-park/hotel complex like environment, with fairly wide, smooth streets — certainly not the kind that seemingly beg for a speed that’s actually hard to consistently track on a speedometer. 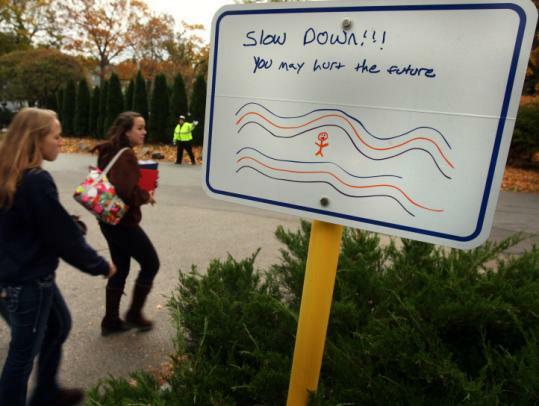 In other words, if the powers that be wanted people going that speed, they’re going to need more than just that sign, however eye-catching. Needless to say, the taxi I was in was going more than that. Comments Off on 14 MPH. Click here to leave a comment. Comments Off on MUTCD Addendum No. 214. Click here to leave a comment. Reader Rich (sig? )-alerted me to this dispatch from Alissa Walker about an incredible piece of guerrilla wayfinding on the freeways of Los Angeles by artist Richard Ankrom, which lasted for the better part of a decade. The curious denouement to the story is that the carefully pre-aged sign was taken down by CALTRANS, and then replaced with a “real” version. Ankrom was unable to locate his original, which has been turned into scrap metal destined for China. Somehow this put me in mind of a recent line from Arthur Danto’s book on Andy Warhol, vis a vis the famous Brillo Boxes: “The challenge was to explain why Warhol’s box was art while its look-alike in common life was not.” (Danto thinks you cannot, hence pop art’s disruptive presence in the continuum of art history). Perhaps it’s time for CALTRANS to institute an artist-in-residence program. Comments Off on Aesthetic Interchange. Click here to leave a comment. I got them all right — but you’d be somehow disappointed if I didn’t, right? Not that it was very difficult (though I will admit to taking a flyer on the “hazardous materials” entry). For a real run for your money have a go at the U.K.’s Highway Code (my favorite is the warning sign that says, simply, “ford”; hint, it’s not product placement). Comments Off on Name That Sign. Click here to leave a comment. 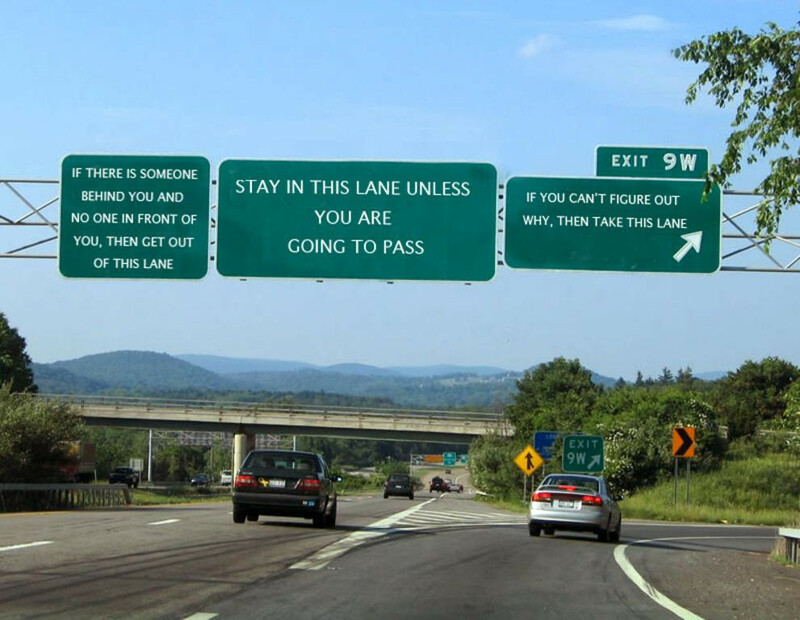 Reader Jay sends in a link to this interesting take on the traditional “your speed is” feedback signs (“speed trailers” as they are sometimes called). From what information I can find they seem to be the work of the ad agency Cramer-Krasselt, possibly for the Wisconsin town of Elm Grove, but I’m not sure if it’s a print PSA or if these signs have actually appeared on the side of the road. Has anyone actually seen them? Comments Off on Your Speed. Click here to leave a comment. 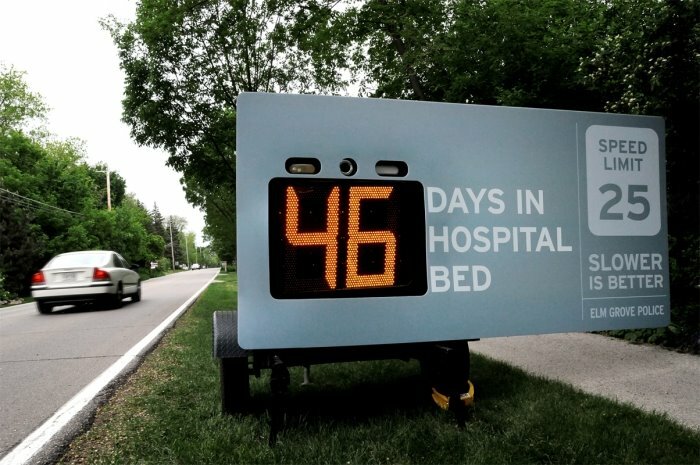 Sign nuts: Don’t miss Daniel Pink’s pecha-kuchka presentation on “emotionally intelligent” signage, as referenced in the previous post. Comments Off on More on Emotionally Intellignent Signage. Click here to leave a comment. Reader Shasha sends in this great example of merging property rights with some home-made driver beahvior modification. Considered it entered in the new MUTCD — the Manual of Unofficial Traffic Calming Devices. We live on a small and relatively quiet road. The speed limit on our road should be 40 (curves, narrow, and hills). However, like all county roads in our county, the speed limit is 55. This means that people actually attempt to go 55 or faster. 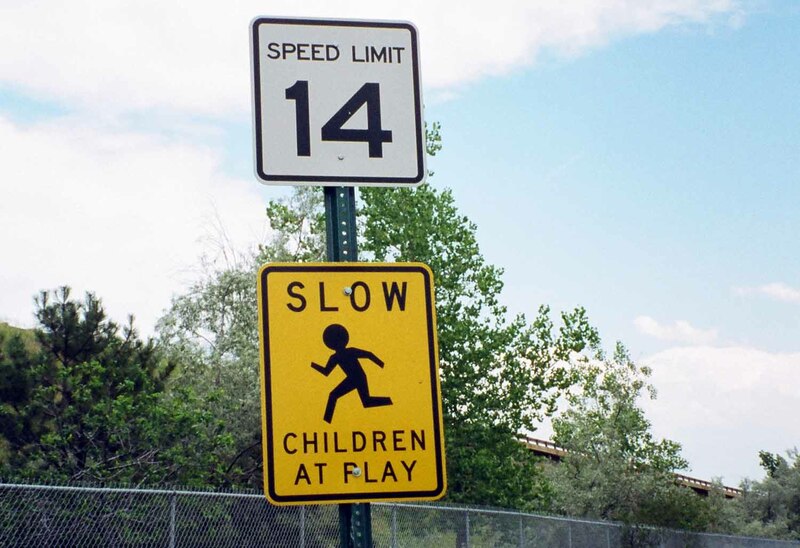 I have spoken with our local authorities about putting up signs that state “Slow, Children at Play.” It seems that those signs are no longer legal to use, as it indicates that children have permission to play in the road. Hmmmm. So, I decided to put up signs on my own land. I figure if they are funny and memorable, people may think and slow down. 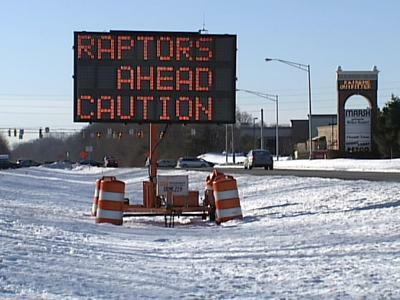 Or, if nothing else, they will slow down simply to see the signs. This sign (Watch for Flying Monkeys) comes from a picture I took of SuperS who was swinging from a rope in the front of our house. Yes, he appeared like a monkey. I thought it would be perfect. With a little design magic, I created a sign and posted one on each side of the road — as people approach our house / driveway. I’m not sure it’s emotionally intelligent signage however, as it asks us to have empathy for flying monkeys, a creature few of us have seen. 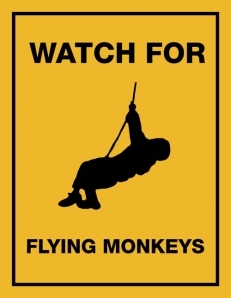 Comments Off on Of Flying Monkeys and DIY Traffic Signs. Click here to leave a comment.